She’s one of the most memorable and enduring superheroes: an Amazon from Paradise Island sent to America to promote liberty and freedom while fighting suffering and injustice. She’s Wonder Woman (aka Diana Prince) and since her debut in 1941, her adventures have been chronicled in comic books, a daily newspaper strip, and a popular television series starring Lynda Carter. Wonder Woman’s adventures may be legendary, but the story behind her development is as incredible as any superhero story. Wonder Woman was created by a man named William Moulton Marston, a polymath, psychologist, and huckster heavily influenced by suffragists and early feminists. The story of William Marston and Wonder Woman is a fascinating tale involving feminism, psychology, the advent of comic book superheroes, unconventional relationships, and family secrets. 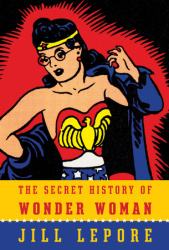 Historian Jill Lepore explores the complicated life of William Marston and the development of Wonder Woman in her entertaining and provocative new book, The Secret History of Wonder Woman. Lepore’s narrative is divided into four main sections: Veritas, which recounts the early lives and education of Marston and his childhood sweetheart (and later wife), Sadie Elizabeth Holloway; Family Circle, an exploration of Marston’s family life, including his polyamorous relationships with Holloway and a former student named Olive Byrne; Paradise Island, an examination of the development and success of Wonder Woman; and Great Hera! I’m Back, a discussion of Wonder Woman’s influence and legacy. This structure allows Lepore to unpack the nuances of Marston’s life, work, and relationships and how they relate to Wonder Woman in an engaging and accessible manner. William Moulton Marston was born in 1893 in Massachusetts. He attended Harvard University, where he became interested in the movement for women’s suffrage. He was particularly fascinated by the British suffragist Emmeline Pankhurst who, in 1911, was scheduled to speak at Harvard, but was later barred from speaking on campus. Marston studied Philosophy and Psychology and was especially interested in determining whether or not deception could be detected by measuring systolic blood pressure. His research was instrumental in the development of early lie detector tests, and Marston testified as an expert witness in lie detection in several court cases. After graduating from Harvard, Marston married Sadie Holloway, a Mount Holyoke graduate, and the couple stayed in Massachusetts to attend law school. They also pursued advanced degrees in Psychology. While Holloway found work in New York as managing editor of Child Study: A Journal of Parent Education, Marston pursued a career in academia at Tufts University. At Tufts, he met Olive Byrne, niece of ardent feminist and birth control pioneer Margaret Sanger. Byrne became Marston’s research assistant and eventually moved in with Marston and Holloway. Marston, Holloway and Byrne formed an unconventional family unit. Marston had a son and daughter with Holloway and two sons with Byrne, but they kept the true nature of Marston’s relationship with Byrne a closely guarded secret from everyone, including their sons. Byrne invented a husband named William K. Richard who died after a long illness, and wrote feature articles for Family Circle magazine using the name “Olive Richard.” In these articles, she discussed pressing issues of the day with prominent psychologist William Marston. Over the years, Marston’s academic career fizzled, but he never stopped trying to promote his expertise in psychology and lie detection. He offered his services in the case of Bruno Richard Hauptmann, the man convicted of the kidnapping and murder of Charles Lindbergh’s son; he also appeared in an advertisement for Gillette razor blades. His efforts met with limited success until he was hired by Maxwell Charles “Charlie” Gaines, the publisher of Superman, to work as a consulting psychologist. At the time, critics were concerned about the level of violence in comic books, and Marston had a solution: create a female superhero that possessed “all the strength of Superman plus the allure of a good and beautiful woman.” Gaines was intrigued and Wonder Woman made her debut in the fall of 1941. Despite the controversy, Marston’s vision remained largely intact until his death in 1947. Wonder Woman’s adventures continued, but subsequent writers and artists produced iterations of Wonder Woman that barely resembled the concept Marston had in mind when he originally created her. Lepore’s background on Marston, Holloway, and Byrne is lengthy, but it effectively provides the social and cultural context for the development of Wonder Woman. She covers a lot of ground in these chapters and her lively writing style keeps the narrative moving at a brisk and enjoyable pace. The chapters on Wonder Woman and her legacy are similarly well-researched and include footnotes, a comics index, and extensive illustrations showing the evolution of Wonder Woman over the years. The Secret History of Wonder Woman is a satisfying look at the making of a superhero, and the social and political changes that shaped her development. Batman Week, Day 3. Today’s post highlights a small sample of Batman books for the younger generation. These books are very popular at the library, so be sure to check the catalog if you don’t see these on the shelf! Let’s start with a Junior Graphic Novel, Batman: The Story of the Dark Knight, written and illustrated by Ralph Cosentino. This book covers the basics of the Batman story and introduces four familiar villains without going into a specific story of how they are vanquished. The layout is very similar to a picture book with many of the illustrations covering both pages. But like a comic strip, the book has word boxes and the familiar sound effects (boom! bonk! pow!). While the story talks about Batman studying hard to outsmart the bad guy, the pictures show him using his physical strength to subdue the villain. This one is recommended for grades 1-3. If you like the look of this book, Cosentino has written about Superman and Wonder Woman as well. Level 2 stories like I Am Batman and Batman Versus Bane have pictures on every page, but also tell a simple story of how Batman uses his brains and cool gadgets to battle the bad guy. These stories in particular have illustrations reminiscent of the Dark Knight movies. The Mad Hatter, a level 3 story, has a more complex plot and fewer pictures. The pictures are more comic-like with frames and word boxes, and the story is quick moving action. Once people report that their hats have been stolen, Batman quickly figures out that the Mad Hatter is once again in Gotham City. He catches up to the bad guys at a museum, but the Mad Hatter escapes with a cryptic message: “My next adventure will be my crowning glory!” Batman knows the villain is up to something big and has to figure it out before the Mad Hatter strikes again. Brains and cool gadgets once again help Batman make the city and its citizens safe. And finally, the Junior Fiction chapter books include a DC Super Heroes series about Batman by different writers and illustrators. I picked up The Fog of Fear. This was the most complex story of the batch I collected. Written in chapters with an occasional picture, the book features many challenges for Batman to overcome. A master criminal called “The Scarecrow” releases a fog on Gotham City. It appears to be just a nuisance until Batman discovers that water will react with the fog to create hallucinations of your greatest fears. Batman has to figure out a way to clear the dense fog from the city. And in the process, he must help a friend who gets transformed into a vicious Man-Bat! This is definitely another action-packed adventure for young fans who are ready for a bigger reading challenge. My only gripe was the illustrations. I love Legos, but didn’t like that the Batman in this series looked like a Lego character. Probably not a big deal for the audience this is actually aimed at—but I thought the illustrations from the Scholastic series were better. 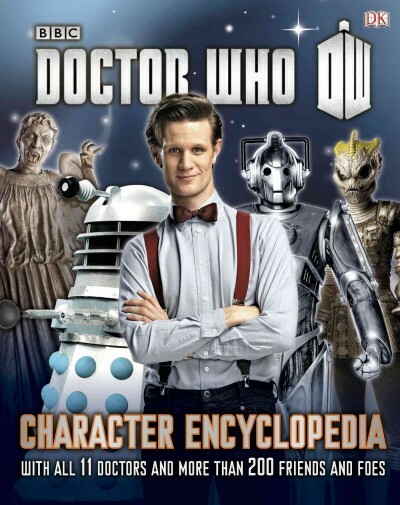 I also liked the added features at the end of the book—a profile of the villain, discussion questions about the book, and writing prompts for further activities. All week, Blogging for a Good Book honors Batman, who is celebrating his 75th anniversary this year. To lead off, Laura reviews a book that takes us back to the Caped Crusader’s early career as a detective. –Ed. Since the basic premise of Batman is so well known, it can be reimagined countless ways and effectively applied to a wide range of storylines. In this version, Batman is not a lone crusader; he is merely the most recent member of a longstanding roster of familiar historical detectives, including Allan Pinkerton and Teddy Roosevelt. The action begins with events that preceded the Lincoln assassination, which set loose a devious plot by an evil faction led by a southern gentleman who looks remarkably like the Joker. Like many comic bad guys, they are pinning their hopes on a remarkably intricate stratagem. This one might be a tad on the unbelievable side, even for a villain’s plan, since it will take 74 years to come to fruition. The time lag brings the action into the modern day, which in this case is 1929. Poor little Bruce Wayne witnesses the murder of his parents and then gets sent off to boarding school for the next ten years. 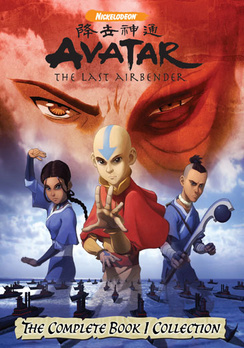 Fortuitously, his travels around the globe give him a chance to study a wide range of subjects, including criminology, oriental fighting techniques, and costume design, which are surprisingly useful for his later activities (although one can imagine the despair experienced by his school’s career counselor). His talents catch the eye of others, and he is quickly enlisted by the detective group. They are known to each other only by number, and as their most recent member, he is known as Detective #27. He has a lot to learn and not much time to do it, but at least he has, as always, the loyal Alfred by his side. Will good triumph over evil? Or will the Joker’s minions rule the day? Find out next week…or just read the book. Recommended for graphic novel readers, historical fiction readers, and anyone who has spent time in Gotham and enjoyed it. Search the WRL catalog for Batman: Detective No. 27.